You don’t have to pay an arm and leg for getting the best quality retail women’s clothing of the latest fashion. At Yabelo you will find a huge selection of wholesale women’s clothing from Europe. We offer all kinds of fashion clothing for women, bought directly from wholesale stock lots in European markets. Our wholesale women’s clothing from Europe caters to all types of women’s fashion. We deal in casual wear, formal wear, jackets, shirts, skirts, sweaters, t-shirts, sweat shirts, shorts, trousers, tops, jeans, swimwear, lingerie and much more. Explore our entire range of wholesale clearance women’s fashion clothing below! All wholesale women’s clothing from Europe at Yabelo is from popular European brands such as Fortune, GS Sport, Jacky Mills, Shapewear, Silly & Ridiculous Young, Zara, Bershka, Massimo Dutti, Pull & Bear, Oysho, Stradivarius, Adidas, Puma, Reebok and others. 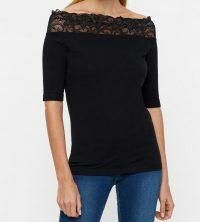 Retailers around the world including retail clothing stores, boutiques, online clothing stores, eBay or Amazon sellers can find wholesale women’s clothing from Europe below the regular wholesale prices, only at Yabelo. At Yabelo, we are the #1 wholesale clothing suppliers known for buying premium wholesale fashion from European markets’ recent years’ stock lots and supplying it to retailers around the world. We purchase stock directly from the original brands and retail chain stores. Our B2B wholesale stock lot network is made up of loyal clients who rely on us to deliver brand new untouched women’s clothing apparel with tags, labels and barcodes intact. Our premium designer products, affordable prices, and latest fashion collections make us the best wholesale retail clothing suppliers in the market. We treat our retail clients as our business partners and team members. We are dedicated to ensuring that you can stock your store with the top quality products with utmost convenience and satisfaction.